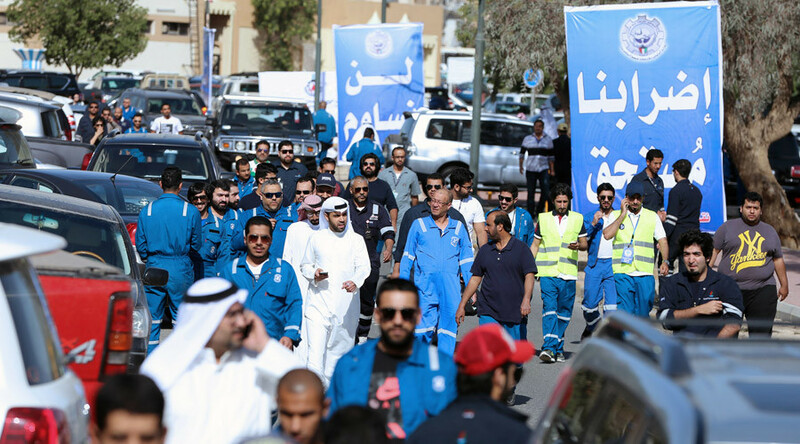 More than 7,000 oil workers in Kuwait have begun an open-ended strike to protest government plans to cut wages and benefits. The strike threatening a slash in production comes during talks in Qatar discussing an output freeze to boost oil prices. “The overall number of workers exceeds 13,000, and here we have 7,000 [taking part in the strike],” the oil workers union chief Saif al-Qahtani was quoted as saying by TASS. He added that the union is aiming to reach their goals by halting output. Hit by the sharp nosedive in world crude prices, the Kuwait government is considering a new payroll scheme for industry employees. If introduced, it will include the country's 20,000 oil workers, meaning an automatic cut in their wages, benefits and incentives. Spokesman for the Kuwait Petroleum Corporation (KPC), Sheikh Talal Khaled al-Sabah, says the company had offered “suspension” of all spending cuts if the union agreed to negotiate a settlement. "The strike will go ahead as planned," union chief al-Qahtani told AFP, holding the industry and the oil minister responsible. In addition to cutting wages and benefits, the workers are also protesting plans to privatize parts of the industry. The workers’ union boycotted negotiations called for Thursday by the Social Affairs and Labor Ministry. 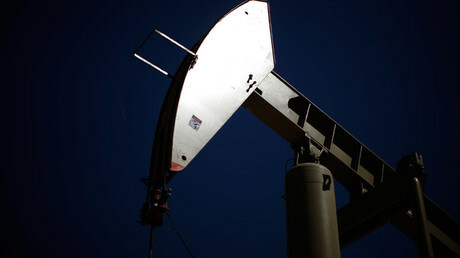 On Saturday, they also turned down an appeal from Kuwait's acting Oil Minister Anas al-Saleh to call off the strike. He had promised there would be no reduction to their salaries and benefits. Once the strike began, the national oil conglomerate activated an “emergency plan” to ensure local and international markets were not affected, KPC spokesman al-Sabah said. Kuwait is OPEC’s third largest oil producer with deposits making up to eight percent of the world’s reserves. According to rough estimates, the country’s industry extracts around three million barrels per day. If the open-ended strike continues, it could reduce oil production in Kuwait just as major world producers are meeting in Qatar’s capital Doha on Sunday to discuss ways of freezing output to increase crude prices. The meeting, however, has begun in disarray as Saudi Arabia, the principal oil exporter, threatened not to agree to the deal unless oil-rich Iran does. In turn, Iran says frozen output would make it impossible to take advantage of the lifting of economic sanctions, which followed after a nuclear deal with six leading world powers was struck.